Process Excellence has a place in every organization - from the kitchen table startups to the biggest players on the planet, your purpose is to make work more efficient, more productive and more profitable. Our purpose is to give you the information you need to achieve this. For twenty years, we’ve been charting the progress of process, and providing insights into where the community is, sorting the passing fads from the genuine game changers. 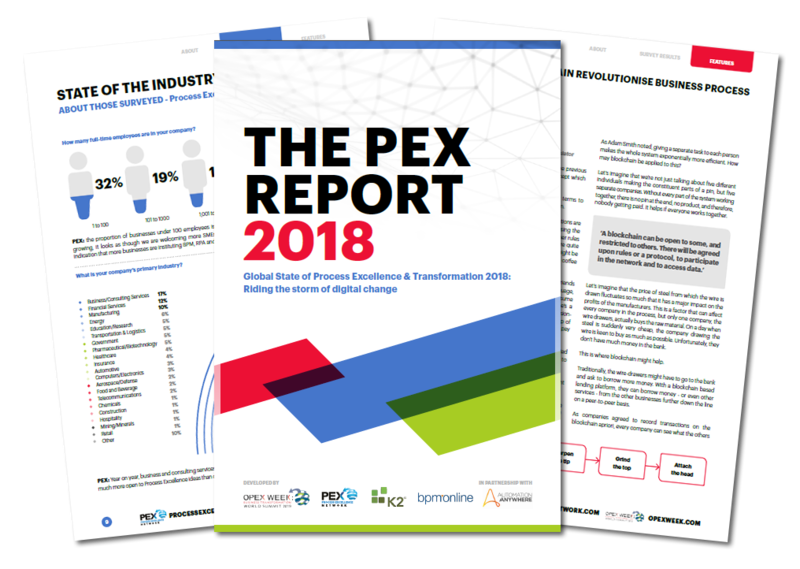 In the PEX Network Annual Report, insights from 851 professionals reveal the state of play in Process Excellence around the world.